Home > Women and Children > My child has headaches… should I be worried? My child has headaches… should I be worried? Headaches are very common in children. 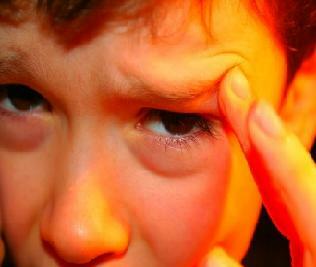 In fact, over 50% of children will experience headaches during their childhood or adolescence1. The vast majority of headaches are benign, meaning that there is no underlying disease causing the headache. Children also often get headaches in the context of minor illnesses such as the common cold. Only in rare instances are headaches a symptom of a more severe underlying disease. Several headache features are more concerning than others, such as headaches associated with vomiting in the morning, headaches that consistently worsen with bearing down, sudden onset severe headaches and headaches associated with weakness or other neurological symptoms. If you are concerned about your child’s headaches, it is always best to speak to your doctor about them, but most of the time they will not be associated with a severe underlying disease. Abu-Arafeh I, Razak S, Sivaraman B, Graham C. Prevalence of headache and migraine in children and adolescents: a systematic review of population-based studies. Dev Med Child Neurol 2010;52(12):1088–97.